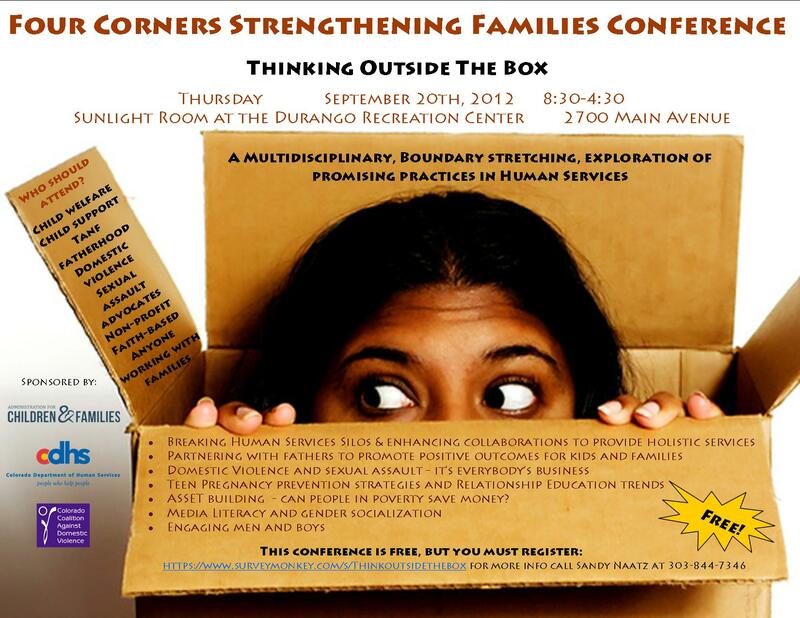 This coming September 20th the Administration for Children and Families in partnership with Colorado Department of Human services and Colorado Coalition Against Domestic Violence will be hosting a free conference in Durango, CO for anyone interesting in supporting the positive development of healthy kids, families, and communities. ASSET building – can people in poverty save money? The conference is free but you must register in advance by following this link. You can download the flyer here. This entry was posted in Fatherhood by Feminist Fatherhood. Bookmark the permalink.